Sister gathered flowers for a lei. Brother watched the imu all of the day. Mele old and new of Hawai‘i nei. ‘Opihi and salmon and steaming hot laulau. We ate and talked story until we were pau. It was really maika`i at our Christmas lū‘au. Photo Credit: Hope Chapel Maui. 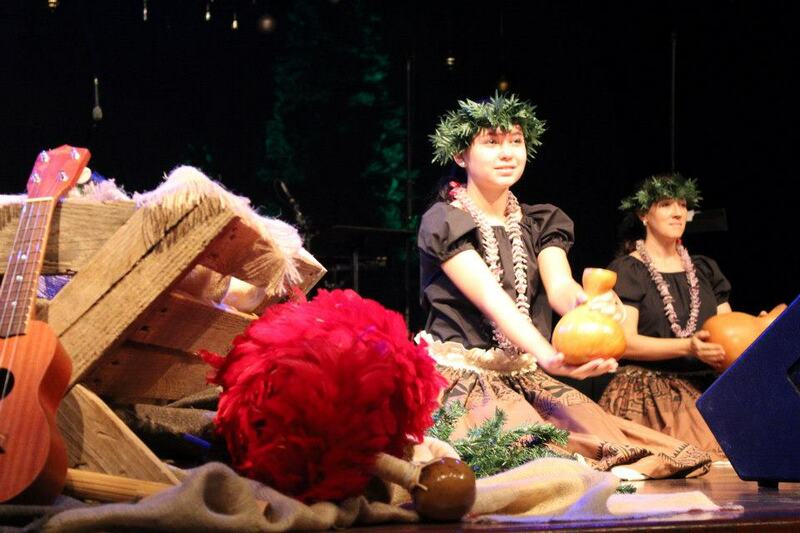 Incidentally, Hope Chapel is having Christmas Eve Services with Worship Hula. Go to Hope Chapel Maui website or click here for more information. ← Wishing you LOVE, JOY and PEACE this Christmas!